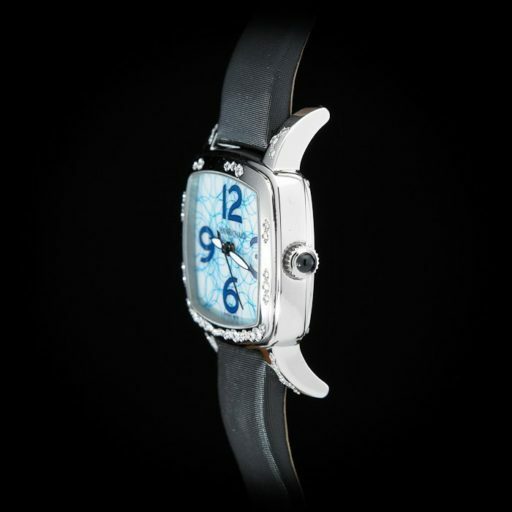 BeckerTime is proud to offer this gorgeous 100% FACTORY ORIGINAL Jean Richard Stainless Steel TV Screen “Milady – Special Water Edition” Automatic Movement Watch that is guaranteed to take your breath away. 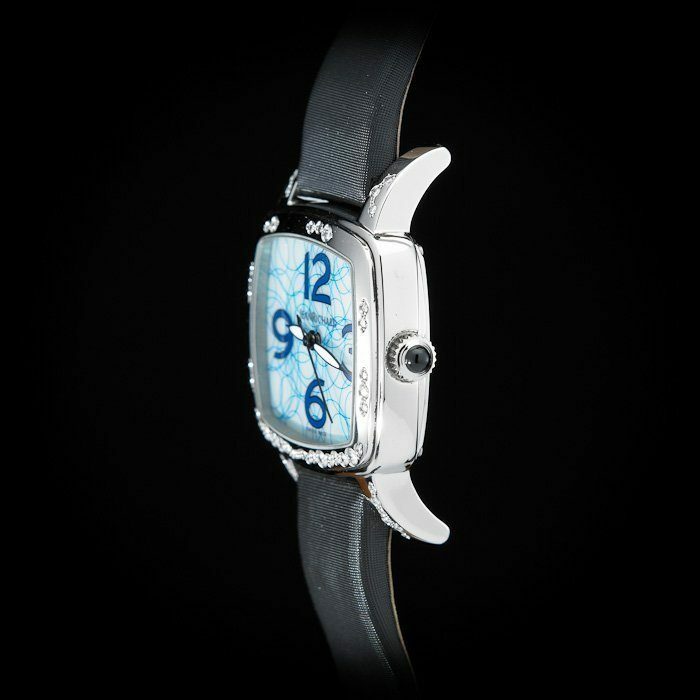 This watch features a large, treasure stone cabochon on the crown, and the blue mother of pearl dial features flowing pattern that mimics water – absolutely mesmerizing! 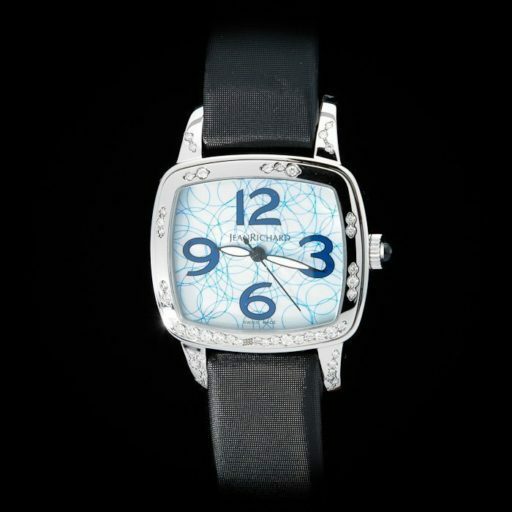 This ladies watch was painstakingly made with the utmost care, set with precious stones, and decorated with intricate artistic patterns. Dial Original Jean Richard MOP (mother of pearl) dial with arabic numeral markers features a flowing pattern that mimics water movement. 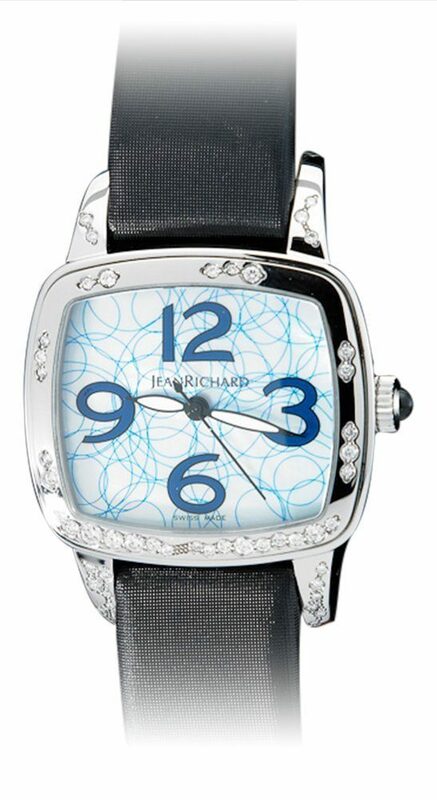 Bezel Original Jean Richard Stainless Steel bezel has been set with diamonds. 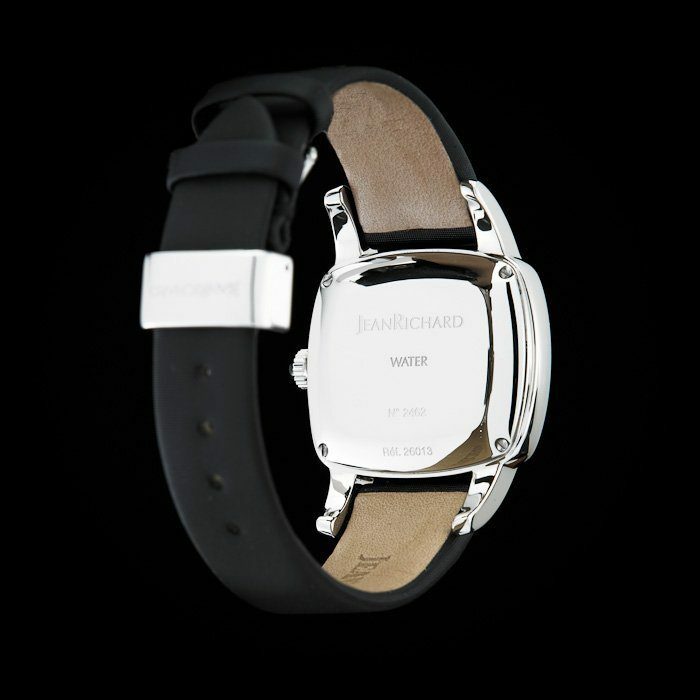 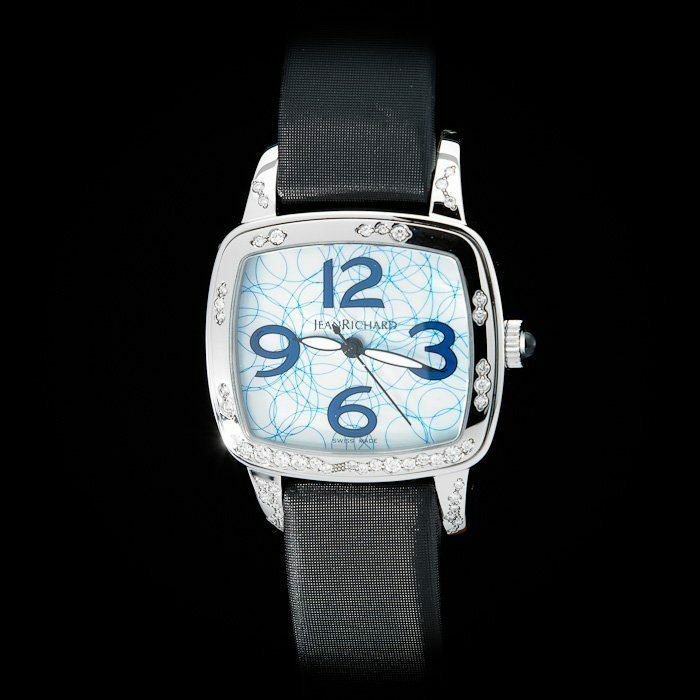 Case Original Jean Richard stainless steel case has been set with diamonds on the lugs. 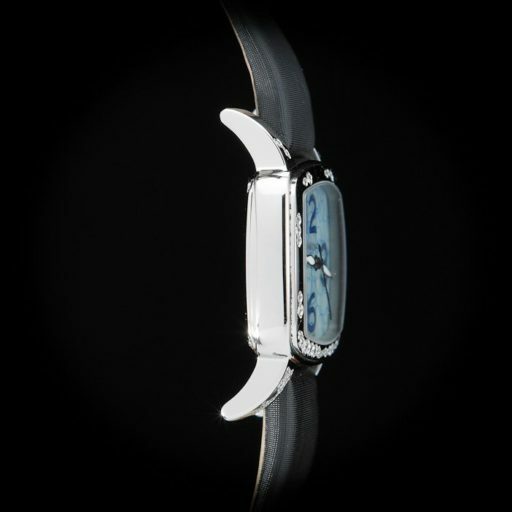 Crown is set with a Large Stone Cabochon.